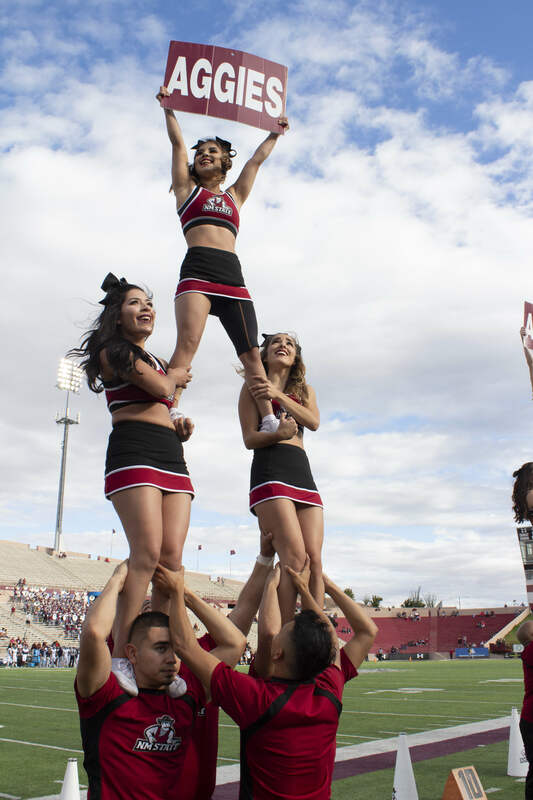 Cheerleading takes true grit, resiliency, and years of dedication. What looks easy and effortless on game days, took months of hard work and dedication – but that is what we want. 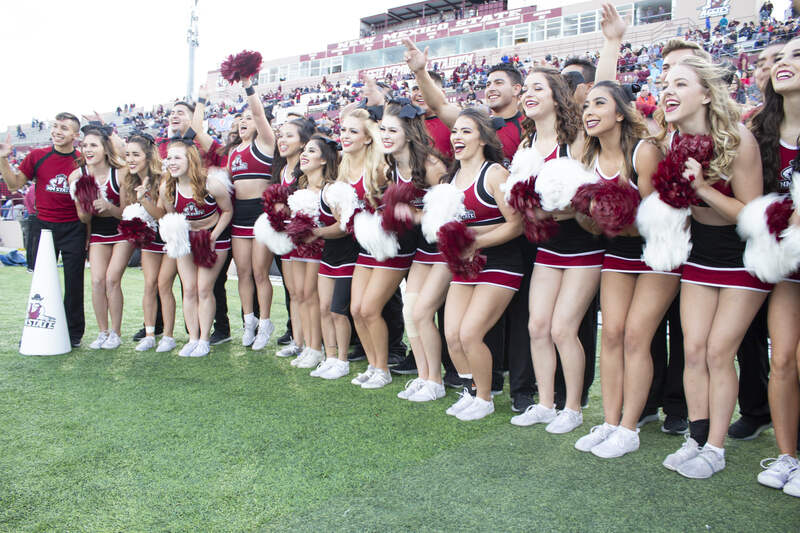 We work hard to be the best for NMSU and our community. We love our sport and being there to support and cheer on those special moments on game days and at community events. 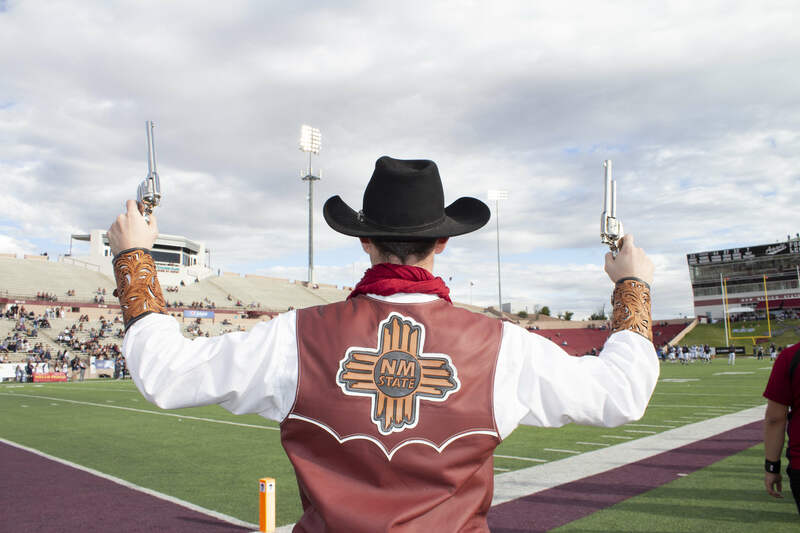 Our Aggie pride runs deep, especially at Nationals where we get to really show off what we can do. In 2019, we will be competing in 2 major competitions; the USA Spirit Nationals in Anaheim and the NCA Cheer Championship in Daytona Beach. All year, we dedicate ourselves to raising the bar and pushing ourselves to the next level. We have an incredible squad this year, and this will be our time to shine! 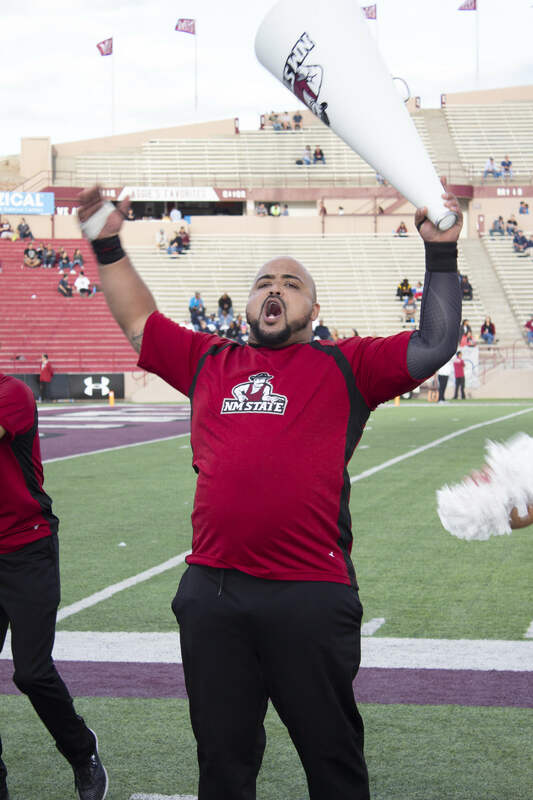 But, we need your help in funding our trips to be able to compete and proudly represent NMSU on a national stage. 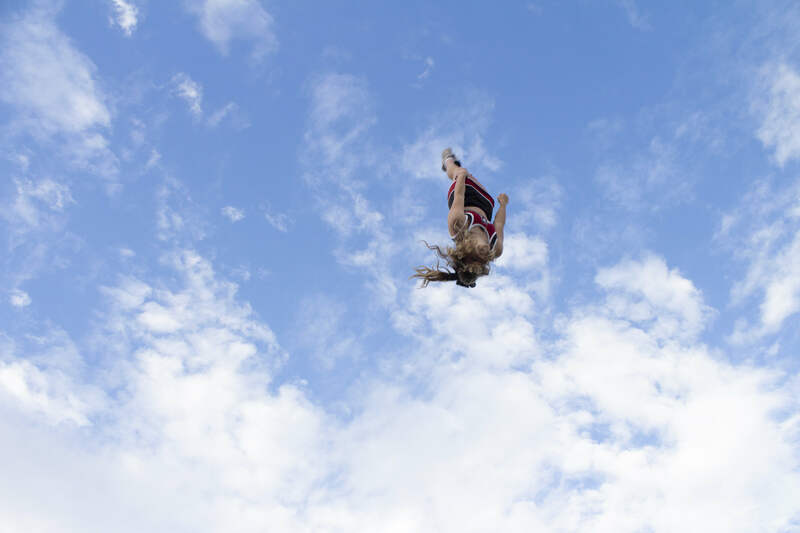 Your donation will help us reach new heights…in basket tosses and in national rankings! Your gift of $25 will help us cover the cost of items such as athletic tape, ankle/wrist braces, and other essentials. Your gift of $50 will help us cover the cost of meals while we are on the road to placing top tier. A donation of $75 will help us cover the cost of new or additional signage for our showstopping performance. A gift of $100 will help us cover competition costs, such as registration fees. A gift of $250 helps us cover transportation and bus rides. Your generous donation of $1,000 will help us cover travel expenses like plane tickets for our team of 37. Your generous donation of $1,500 will fully fund a trip to both national competitions for one cheerleader.